Efficient, Scalable, and Compliant that benefits any agency. 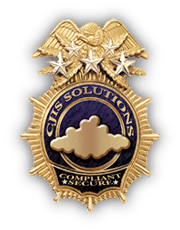 Built from Day 1 around the CJIS Security Policy, CJIS Solutions has been the leader in providing CJIS Compliant cloud hosted products and space for law enforcement. From raw storage and compute platforms to simple every day products like E-Mail, Data Backup, and 2 Factor Authentication, CJIS Solutions has lead the way and been ahead of the curve. CJIS Solutions is dedicated to the men and women of law enforcement. Owned and operated by law enforcement ourselves, CJIS Solutions’ only focus is the law enforcement industry and the CJIS Security Policy. When partnering with us, you’re not considered just another market in a portfolio because CJIS Compliance and law enforcement is our ONLY portfolio. CJIS Solutions does not “host and go” leaving you in the wind to figure it out on your own. Our experts are here with you to make sure you are working well with the technology, meeting compliance, and having a satisfactory user experience. We’ve been there before, local IT support or the first cop in your department with a laptop is now the “IT Guy”. CJIS Solutions’ staff bridges the gap so you’re not lost. We’re here by phone, E-Mail, ticket, or text 24hrs a day, 7-Days a week, 365-Days a year – because so are you. CJIS Security Addendums are made available to every agency hosting with CJIS Solutions regardless of product(s). Additionally, CJIS Solutions commits to its compliance with the CJIS Security Policy as well as the IACP Guiding Principles of Cloud Computing via signed contract with every law enforcement agency it serves. Because every agency has it’s own custom or specific needs, we tailor the contract to YOUR needs and not a broad stroke approach. We know what it’s like to have to make every dollar count. Our pricing is simple and reasonable. Packed with value and features, we’ve designed everything in our suite of services to reduce the fight needed for city approvals. Custom Server Solutions for your every need. Infinitely Scalability with Ultimate Security. The perfect home for your hardware. Secure Anything and Everything - Off Site. Domain Names, SSL Certificates, All in One Place. A Must for Every Agency - Amazing Features. File Sharing That's Perfect for Every Agency. Even the Police Need Help - IT Support that Keeps You Going. Secure Law Enforcement Data in the Field. Detailed Contracts for the CJIS Security Policy & IACP Guiding Principles on Cloud Computing. Provided for CJIS Solutions and all Staff. Annual CJIS Policy Training - 1 Year sooner than required. Everyone with Logical/Physical access is printed and background checked. Physically access your data upon request. No secret hiding spots, we'll bring you right to it. Hardened facilities with added CJIS Solutions security. 2 Factor Authentication and FIPS 140-2 VPN tunnels used by all staff.